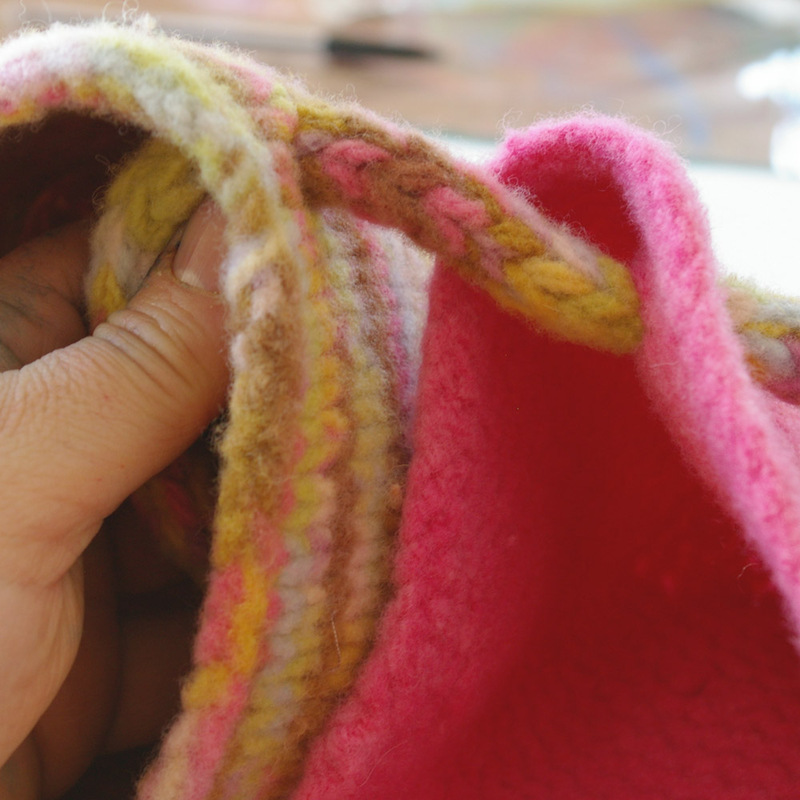 Last week I launched a new pattern (and forgot to blog it, bad blogger!) 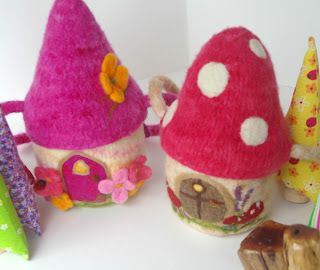 ~ Wee Dwellings... available in the Etsy shop. The wee ones need homes, too! It's a toy, it's a toy box, it's a pouch, it's lots of natural fun, embellished any way you like it! Our Wee Dwellings are so much fun~ perfect for travel and play, for toddlers and bigger kids, too. Fully customizable from the size, colours, roof shape, theme and more. With or without a handle... you decide! This 9 page tutorial is full of tips, pictures and clear, easy to follow directions for the newbie or the veteran. 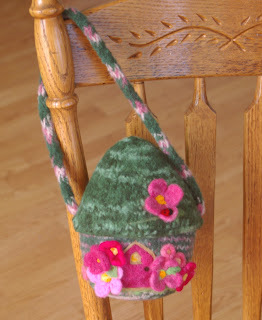 More than just a knitting pattern~ learn to full/felt and needlefelt, too. 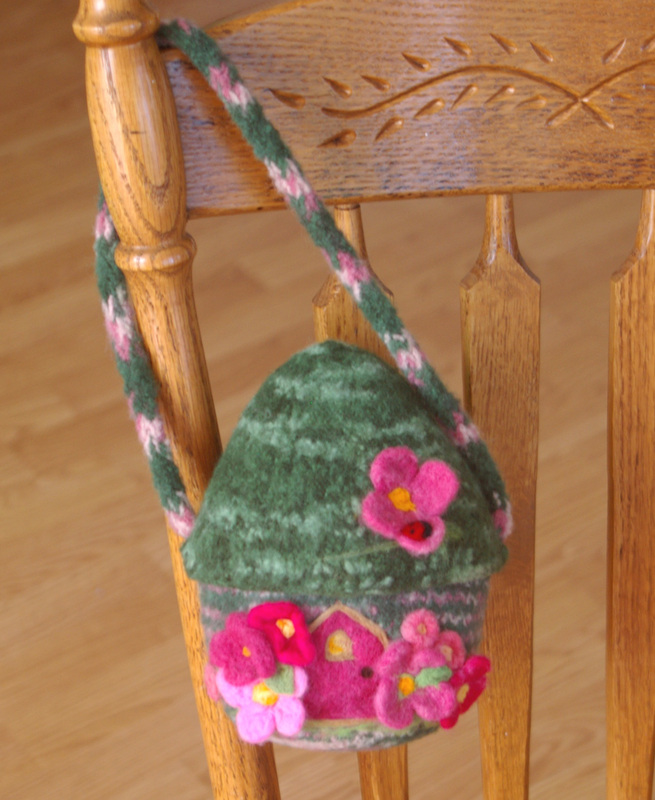 Knit, felt, embellish, have fun! 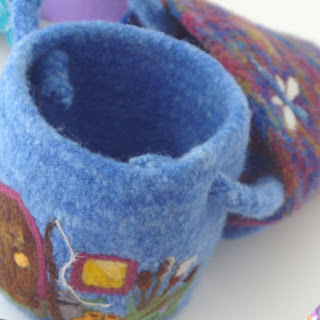 Felting (complete instructions included for sink and machine wet felting ~ technically called fulling when making felt with a knitted item).